8-CD box (LP-size) with 47-page book, 137 tracks. Playing time approx. 725 mns. 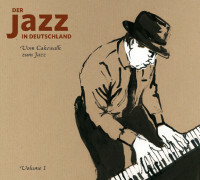 The third German Jazz Festival in 1955 was a four-day event that featured nearly 30 groups and soloists. It was recorded by Deutsche Grammophon for release on Brunswick, but only parts of it were released on long-deleted EPs. The complete tapes survived though. 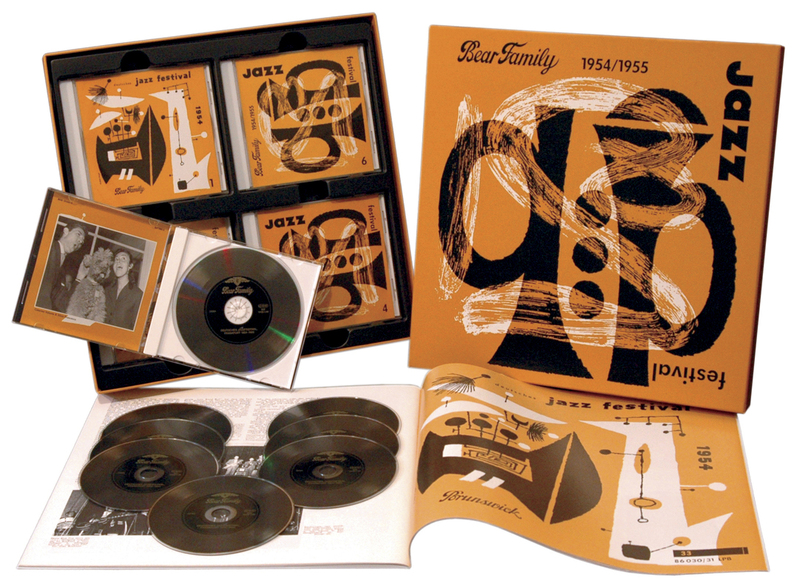 The 1954 festival was also recorded, but only the portion issued on an EP was saved. 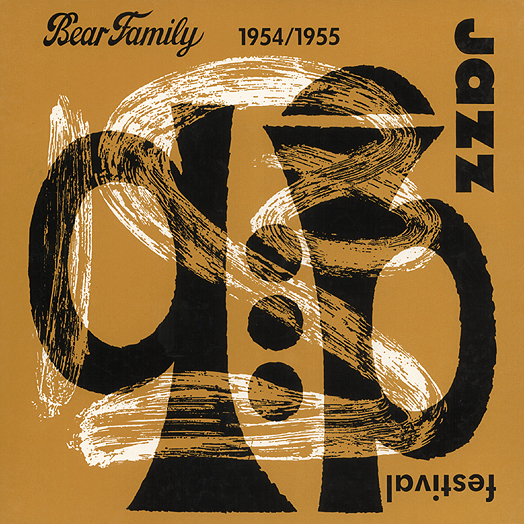 Now the surviving portion of the 1954 festival and the entire 1955 festival are issued complete by Bear Family on eight CDs. The book includes complete documentation, discographical details and rare photos. 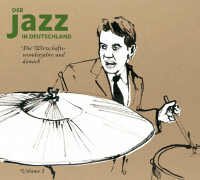 It's a complete picture of the German jazz scene from the mid-Fifties, ranging from Trad (Spree City Stompers, Two Beat Stompers) to Swing (Paul Kuhn, Heinz Schoenberger, Glen Buschmann, Helmut Weglinski), to Jump (Delle Haensch), and Cool Jazz (Jutta Hipp with Albert Mangelsdorff, the Helmut Brand Combo with its Baker-Mulligan sound, and Wolfgang Lauth). Also present were vocalist Wolfgang Sauer, and the 'Third Stream' sound of the Harald Banter Tentet. Both preeminent German big bands were there (Kurt Edelhagen with Caterina Valente and Erwin Lehn). 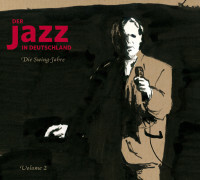 This is an absolute Must-Have item for anyone interested in German jazz. 01 Jumpin' With Symphony Sid LEHN, Erwin & SUEDFUNK-ORCH. 02 Blues Intermezzo LEHN, Erwin & SUEDFUNK-ORCH. 03 Gerry Walks LEHN, Erwin & SUEDFUNK-ORCH. 04 Cool Street LEHN, Erwin & SUEDFUNK-ORCH. 05 Autumn Nocturne LEHN, Erwin & SUEDFUNK-ORCH. 06 Conference mit Mosch LEHN, Erwin & SUEDFUNK-ORCH. 07 What Is This Thing Called Love LEHN, Erwin & SUEDFUNK-ORCH. 08 Blues für Tenorsaxophon LEHN, Erwin & SUEDFUNK-ORCH. 09 Lester Leaps In LEHN, Erwin & SUEDFUNK-ORCH. 10 E.V.G. LEHN, Erwin & SUEDFUNK-ORCH. 11 Flyin' Home LEHN, Erwin & SUEDFUNK-ORCH. 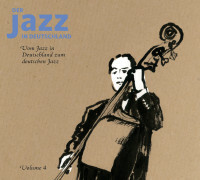 Customer evaluation for "Deutsches Jazz Festival 1954 - 1955 (8-CD)"